In 1999, OKS Partners, a consortium comprised of, among others, the American businessman William Koch, returned to Turkey nearly 1700 ancient coins. 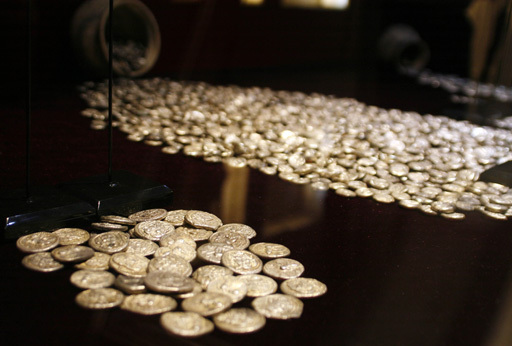 The coins were part of the Elmali Hoard, a precious and rare collection of ancient coins, also called the “Hoard of the Century,” that had been illegally excavated and smuggled out of Turkey in 1984. Citation: Ece Velioglu, Alessandro Chechi, Marc-André Renold, “Case Elmali Hoard – Turkey and OKS Partners,” Platform ArThemis (http://unige.ch/art-adr), Art-Law Centre, University of Geneva. In 1999, OKS Partners, a consortium comprised of, among others, the American businessman William Koch, returned nearly 1700 ancient coins to Turkey. The coins were part of the Elmali Hoard, a precious and rare collection of ancient coins, also called the “Hoard of the Century,” that had been illegally excavated and smuggled out of Turkey in 1984. The return resulted from an amicable settlement that followed a decade of litigation in the United States. In or around April 1984: A collection of nearly two thousand ancient Greek and Lycian silver coins were unearthed in Elmali, a town near Antalya, Turkey, and soon after smuggled out of the country (hereafter Elmali Hoard). Turkish authorities contacted Interpol seeking international assistance to find and arrest the traffickers. 1984: The consortium OKS Partners (hereafter OKS) purchased almost 1,700 of these coins (hereafter the Coins) for about $3.2 million. OKS was made up of an American businessman, William Koch, a New York investment banker, Jonathan H. Kagan, and an academic, Jeffrey Spier, who lived in London. 1987: OKS began to sell the Coins. 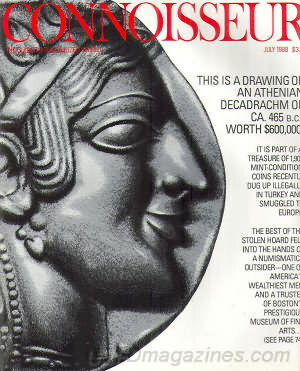 July 1988: Özgen Acar, a Turkish journalist known for “chasing” smuggled antiquities from Turkey, published an article in the Connoisseur magazine with another Turkish journalist, Melik Kayla. The article revealed that Koch and his partners had bought the Elmali Hoard. 1989: Following this new information, Turkey filed a suit against OKS for the recovery of the Coins. 1999: After a decade of litigation, the parties settled out of court and OKS returned the Coins to Turkey. Soon after identifying the possessors of the Elmali Hoard, Turkey filed a court action for its recovery. The facts suggest that the parties did not engage in any kind of negotiation before the commencement of the lawsuit. In 1998, after nine years of litigation, Mr. Koch criticized Turkey in an interview for never having tried to meet him halfway. Yet several months later, the parties decided to settle. It is important to note that in U.S. law, a civil case usually begins with a pre-trial phase where the parties may file motions contesting an issue before the court and disclose documents. The trial can begin only after these steps are completed. Here, the parties settled at the pre-trial stage and therefore the case did not proceed further. During the pre-trial stage, the District Court of Massachusetts (hereafter the Court) decided several motions brought by both parties. In particular, OKS asserted that Turkey had no evidence that the Coins were in fact the Elmali Hoard”. According to Lawrence Kaye, the attorney who represented Turkey in this case, the question of the Coins’ identity was a critical factor. He explained that Turkey succeeded in representing various types of evidence to the Court that could link the Coins’ origin to Turkey displaying similar characteristics with the Elmali Hoard. As a result, the Court denied OKS’ motion, which allowed Turkey to make full use of this evidence against OKS. This outcome, among other things, put pressure on OKS. To avoid the risk of losing at trial, OKS opted to settle the dispute with Turkey. However, the conditions of the negotiation were clearly different compared to the time when Turkey learned about OKS in the first place. Turkey was, at that point, in a very advantageous position and could negotiate for the actual return of the Coins instead of meeting Mr. Koch “halfway”. Since Turkey sought the recovery of the illegally excavated objects, the Court faced two important legal issues: interpreting foreign law and determining the date of accrual for the statute of limitation. Under Turkish patrimony legislation, undiscovered cultural objects, such as archeological artifacts, belong to the State. Turkey claimed the recovery of the Coins relying on the ownership right provided by this legislation. In response, OKS argued that Turkish law was not clear on this issue. U.S. federal law characterizes the determination of foreign law as a question of law. Therefore, foreign law is relevant to a court’s analysis, but not binding. In the present case, the Court was required to interpret the meaning of Turkish patrimony laws to decide whether Turkey had an ownership interest in the Coins. To do so, the Court examined expert testimonies with extracts from Turkish legal material. After considering this, the Court decided that Turkey had “an immediate, unconditional right of possession” of the Coins (as provided by Turkish law) that constituted a sufficient interest to support a replevin (recovery) action. With regard to the statute of limitation, Massachusetts law required tort and replevin actions to be filed within 3 years of the cause of action (generally the time of the injury). Massachusetts law also recognized the “discovery rule” doctrine, which prevented the statute of limitation from running until the plaintiff knew or reasonably should have known who possessed the property in question. Under this doctrine, Turkey argued that the facts of the case had been “inherently unknowable” until shortly before it filed the suit. It alleged that OKS and the smugglers agreed to keep the sale as a secret, and that OKS then forged the customs documents by indicating a false country origin. The Court held that the facts giving rise to the cause of action might indeed have been “inherently unknowable” to Turkey and thus did not dismiss Turkey’s claims on the statute of limitation ground. In the well-known Goldberg case concerning mosaics stolen from a church in Cyprus and acquired by the American dealer Goldberg, the Illinois Court had adopted the same solution. Moreover, evidence submitted in the course of the proceedings showed that Mr. Koch and his associates had been informed, prior to the purchase, about the existence of a very precious hoard smuggled from Turkey around that time. Therefore, one can also assume that the statute of limitation could not have run because Mr. Koch and his associates did not qualify as good faith purchasers. OKS claimed that Turkey had no evidence that the disputed Coins were, in fact, the Elmali Hoard. However, several facts undermined this claim. First, Mr. Spier had published academic papers stating the origin of the Coins as modern Turkey. Second, the Coins included several Decadrachms, which are extremely rare (only 12 or 13 existing Decadrachms were known before the Elmali Hoard) and are the highest denomination of ancient Greek currency. It was very unlikely that two hoards containing these rare Decadrachms appeared in two different parts of the world around the same time. The recognition of Turkey’s proprietary interest by the Court and the evidence presented to the Court supporting the Coins’ Turkish origin compelled OKS to return the Coins. On 4 March 1999, a ceremony was held at the Turkish Embassy in Washington for the Coins’ return. In the Elmali Hoard case, the Court recognized Turkey’s proprietary interest in undiscovered cultural objects by examining Turkish patrimony legislation. This recognition was essential since, in the absence of such an interest, Turkey would not have standing to bring the claim. However, in a Swiss case concerning Turkey, the Court of Appeals of Basel-City concluded that Turkey did not have any immediate ownership right on undiscovered cultural objects, based on the same Turkish patrimony legislation. This shows that the different interpretation of patrimony laws by foreign courts may create an obstacle for the recovery of cultural property. In 2011, UNESCO and UNIDROIT looked into this issue and adopted a set of model provisions as an example for states wishing to adopt similar laws or to improve the existing ones in order to succeed in the recovery of their undiscovered cultural property. It is interesting to note that Turkey considerably changed its attitude concerning cultural property disputes in recent years. It now favors alternative dispute resolution methods over long-standing litigation to recover illegally excavated and exported cultural property, similar to other source nations such as Italy. States’ experience of litigation in foreign courts over the last decades showed that ensuring the return of cultural property was expensive and time consuming, which could be hindered by courts’ reluctance in applying foreign public law, their unfamiliarity with foreign nations’ patrimony legislation or other legal technicalities (such as the statute of limitation). Brodie, Neil. “The investment potential of antiquities.” Work in progress, Stanford University Archaeology Center. August 2009. Accessed September 2, 2013. http://www.stanford.edu/group/chr/cgi-bin/drupal/files/investments.pdf. Kaye, Lawrence M. “Litigation in Cultural Property: A General Overview.” In Resolving Disputes in Cultural Property, edited by Marc-André Renold, Alessandro Chechi and Anne Laure, 3-20. Vol. 23 of Studies in Art Law. Genève: Schulthess, 2012. Kleeberg, John M. “The Law and Practice Regarding Coins Finds: United States Laws Concerning the Trade in Cultural Property.” Compte Rendu 57 (2010): 11-32. Accessed September 2, 2013. http://www.muenzgeschichte.ch/downloads/01_kleeberg.pdf. Merryman, John H. Law, Ethics and the Visual Arts. London: Kluwer Law International, 1998. Spiegler, Howard, and Yael Weitz. “The Ancient World Meets the Modern World: A Primer on the Restitution of Looted Antiquities.” The Art Law Newsletter of Herrick, Feinstein LLP 6 (2010): 1-4. Accessed September 3, 2013. http://www.herrick.com/siteFiles/Publications/1BE07C63637309D84EC011D4DC8E3293.pdf. The Republic of Turkey v. OKS Partners, 797 F. Supp. 64. (D. Mass. 1992), motion to dismiss denied. The Republic of Turkey v. OKS Partners, 146 F.R.D 24 (D. Mass. 1993), discovery motion granted in part and denied in part. The Republic of Turkey v. OKS Partners, 1994 U.S. Dist. LEXIS 17032 (D. Mass. 1994), summary judgment denied. The Republic of Turkey v. OKS Partners, 1998 U.S. Dist. LEXIS 23526 (D. Mass. 1998), summary judgment and partial summary judgment denied, motion to strike denied. Law no. 2863 on the Protection of Cultural and Natural Property. Published in the Official Gazette dated 23 July 1983 and numbered 18113. Turkish Ministry of Culture and Tourism. “Elmalı Sikkeleri.” Accessed September 2, 2013. http://www.kulturvarliklari.gov.tr/TR,44948/elmali-sikkeleri.html. The Republic of Turkey v. OKS Partners, 797 F. Supp. 64. (D. Mass. 1992). John H. Merryman, Law, Ethics and the Visual Arts (London: Kluwer Law International, 1998), 190-194; Neil Brodie, “The investment potential of antiquities,” work in progress, Stanford University Archaeology Center, August 2009, accessed September 2, 2013, http://www.stanford.edu/group/chr/cgi-bin/drupal/files/investments.pdf. John M. Kleeberg, “The Law and Practice Regarding Coins Finds: United States Laws Concerning the Trade in Cultural Property,” Compte Rendu 57 (2010): 27, accessed September 2, 2013, http://www.muenzgeschichte.ch/downloads/01_kleeberg.pdf; Turkish Ministry of Culture and Tourism, “Elmalı Sikkeleri,” accessed September 2, 2013, http://www.kulturvarliklari.gov.tr/TR,44948/elmali-sikkeleri.html. OKS Partners purchased the Coins as an investment, with a view of selling them for $7.5 to $10 million. Brodie, “The investment potential of antiquities;” Barry Meier, “The Case of the Contested Coins; A Modern-Day Battle over Ancient Objects,” New York Times, September 24, 1998, accessed September 2, 2013, http://www.nytimes.com/1998/09/24/business/the-case-of-the-contested-coins-a-modern-day-battle-over-ancient-objects.html. See “litigation” in Wex Legal Dictionary, Legal Information Institute, the Cornell Law School, accessed September 13, 2013, http://www.law.cornell.edu/wex/litigation. Lawrence M. Kaye, “Litigation in Cultural Property: A General Overview,” in Resolving Disputes in Cultural Property, ed. Marc-André Renold et al., vol. 23 of Studies in Art Law (Genève: Schulthess, 2012), 13. The Republic of Turkey v. OKS Partners, 1998 U.S. Dist. LEXIS 23526 (D. Mass. 1998). Kaye, “Litigation in Cultural Property,” 12. See Article 5 of Law no. 2863 on the Protection of Cultural and Natural Property. Published in the Official Gazette No. 18113 of 23 July 1983. The Republic of Turkey v. OKS Partners, 797 F. Supp. 64. (D. Mass. 1992). Ibid. The Republic of Turkey v. OKS Partners, 146 F.R.D 24 (D. Mass. 1993). The Republic of Turkey v. OKS Partners, 146 F.R.D 24 (D. Mass. 1993). The Court further explained that “discovery (…) to determine foreign law is limited to those materials which the courts of the foreign country would examine if called upon to make the determination, absent a showing, supported by expert testimony, of the necessity of obtaining additional materials.” For example, the Court found that the OKS partners failed to demonstrate the necessity of seeking materials other than the published and publicly available legislative history of Law no. 2863 to determine how such law was administered. Therefore according to the Court, their request for additional material was not appropriate. The Republic of Turkey v. OKS Partners, 1994 U.S. Dist. LEXIS 17032 (D. Mass. 1994); Howard Spiegler and Yael Weitz, “The Ancient World Meets the Modern World: A Primer on the Restitution of Looted Antiquities,” The Art Law Newsletter of Herrick, Feinstein LLP 6 (Spring/Summer 2010): 2, accessed September 3, 2013, http://www.herrick.com/siteFiles/Publications/1BE07C63637309D84EC011D4DC8E3293.pdf. Ibid. See also Raphael Contel, Alessandro Chechi, Marc-André Renold, “Case Kanakaria Mosaics – Autocephalous Greek Orthodox Church of Cyprus and Cyprus v. Goldberg,” Platform ArThemis (http://unige.ch/art-adr), Art-Law Centre, University of Geneva. Kleeberg, “United States Laws Concerning the Trade in Cultural Property,” 27. Ibid; Kaye, “Litigation in Cultural Property,” 12-13. Ibid; Kaye, “Litigation in Cultural Property,” 12. See also Alessandro Chechi, Anne Laure Bandle, Marc-André Renold, “Case Lydian Hoard – Turkey and Metropolitan Museum of Art,” Platform ArThemis (http://unige.ch/art-adr), Art-Law Centre, University of Geneva. The Republic of Turkey v. the Canton of the City of Basel. Basler Juritiche Mitteilung (BJM 1997 17 ss). Spiegler and Weitz, “A Primer on the Restitution of Looted Antiquities,” 2. For example see, Ece Velioglu, Alessandro Chechi, Marc-André Renold, “Case Orpheus Mosaic – Turkey and Dallas Museum of Art,” Platform ArThemis (http://unige.ch/art-adr), Art-Law Centre, University of Geneva; Ece Velioglu, Anne Laure Bandle, Marc-André Renold, “Case Troy Gold – Turkey and the University of Pennsylvania Museum of Archaeology and Anthropology,” Platform ArThemis (http://unige.ch/art-adr), Art-Law Centre, University of Geneva; and Alessandro Chechi, Anne Laure Bandle, Marc-André Renold, “Case Boğazköy Sphinx – Turkey and Germany,” Platform ArThemis (http://unige.ch/art-adr), Art-Law Centre, University of Geneva. For example see, Raphael Contel, Giulia Soldan, Alessandro Chechi, “Case Euphronios Krater and Other Archaeological Objects – Italy and Metropolitan Museum of Art,” Platform ArThemis (http://unige.ch/art-adr), Art-Law Centre, University of Geneva.